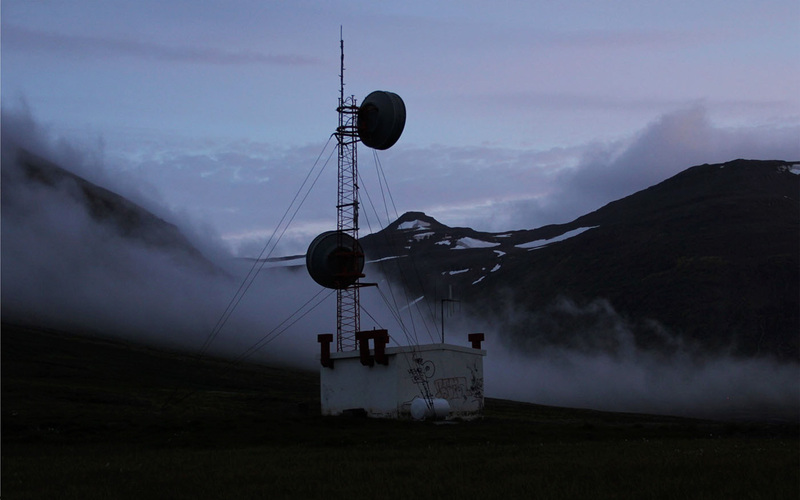 This project was initiated during a residency in Iceland in August 2014. I was south of Vatnajökull when warnings of the possible eruption of the Bárðarbunga subglacial stratovolcano begun. They were communicated in a spectacular, almost apocalyptic way by some international media while a certain calm reigned in the areas I was traveling through. I was regularly checking webcams installed in the region, consulting weather and seismic data to see how the situation evolved (examples : 1, 2, 3 & 4). During this period, I made audiovisual recordings of weather stations and monitoring systems, of the territory’s transformation due to volcanic activity, as well as geothermal phenomena and power plants. An eruption started at the Holuhraun fissure on August 29th. This «quiet» eruption ended February 27th 2015. It was the most important lava emission recorded in Iceland in over two centuries and it released high levels of toxic gases in the air. Since June 2015 the alert level of Bárðarbunga has been set to Uncertainty Phase by the Iceland Civil Protection authorities. 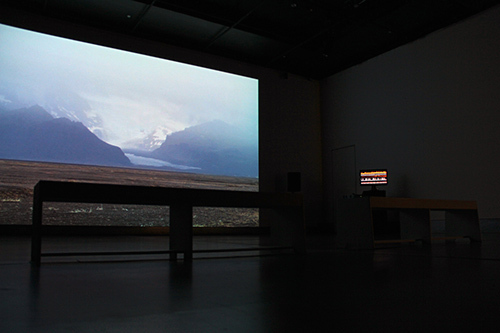 Waiting for Bárðarbunga is made of hundreds of video sequences which are presented according to the evolution of a statistical model that integrates data about the state and activity of the computer that presents them : temperature of components, fan speed and energy consumption. The video database consists of stationary camera shots that last a few seconds each. Most of them can be seamlessly looped and sometimes evoke remote webcams watching isolated areas. 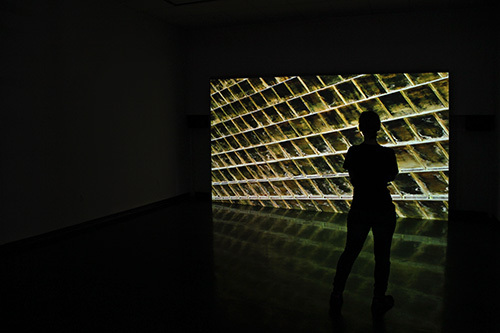 The audiovisual sequences are interconnected one to the other inside a rhizomatic structure. They are grouped and linked according to formal, conceptual, location-based and event-based characteristics. Amongst others, they show rivers under surveillance, glaciers breaking into drifting icebergs, foggy landscapes, hissing steam vents, boiling mud and geothermal power plants. 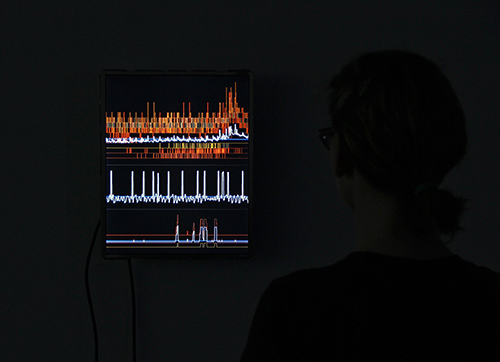 The non-linear audiovisual piece evolves based on a probabilistic system influenced by real-time information coming from the computer’s sensors. According to the amplitude of their variation and the correlations between the types of data, what the viewer experiences ranges from contemplative spaces where time seems to be suspended to energy-charged audiovisual blasts. The video is projected with a stereo soundtrack. 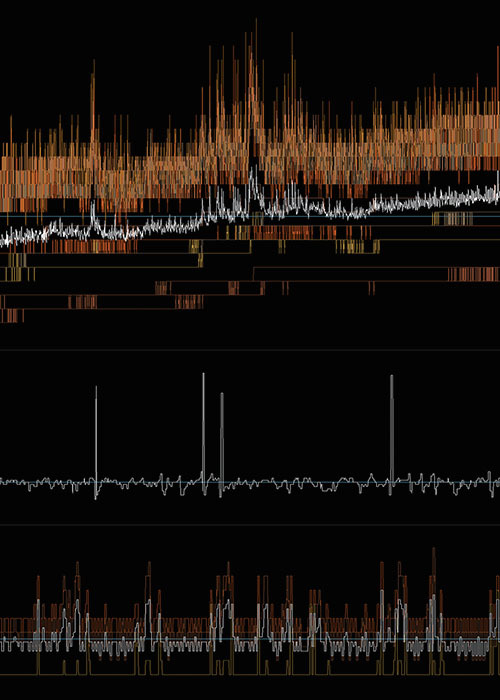 A monitor located next to the computer displays dynamic graphics of its sensors’ data, for each type a different time scale is covered. No information is given about what these graphs represent, therefore leaving their meaning open to the imagination. The work has an unpredictable unfolding and its conclusion may never be given. 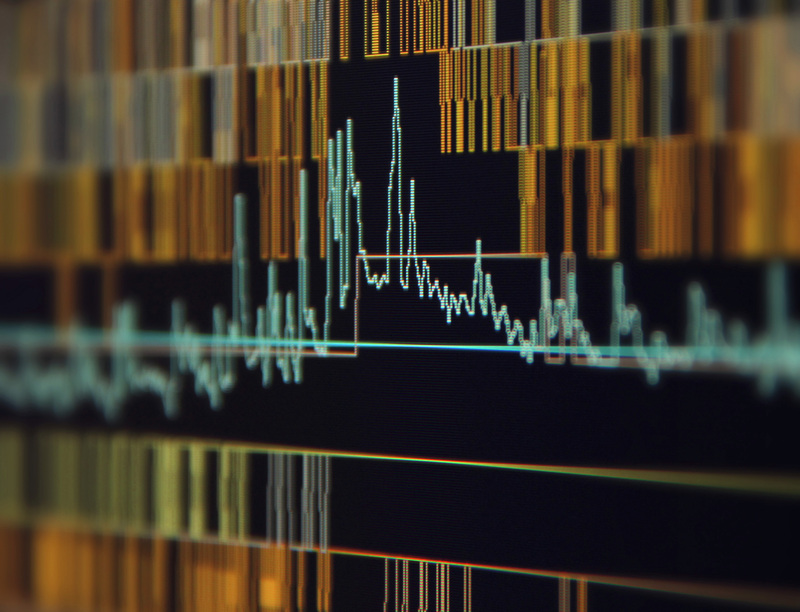 The system’s monitoring influences the course of events it presents, and vice versa. 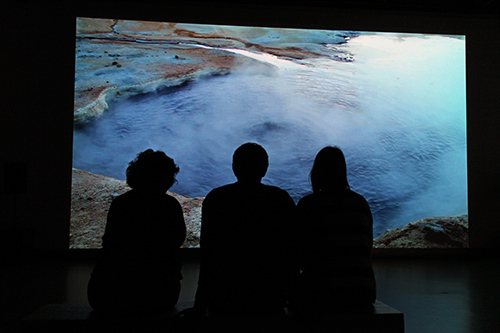 Project initiated at SÍM Residency (Reykjavík, Iceland) and completed with Sean Wood and Louis Commère of the Necotis research group during a residency at Sporobole in collaboration with the 3IT and Université de Sherbrooke (Sherbrooke, Quebec, Canada). Thanks to the Canada Council for the Arts, Conseil des arts et des lettres du Québec, SODEC, SÍM Residency, Sporobole, Necotis, Perte de Signal and La Chambre Blanche for their involvement and support. 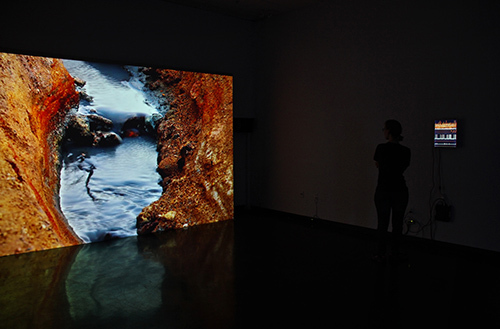 Éléments, solo exhibition at Espace F (Matane, Quebec, Canada), July 10- September 20, 2015. Waiting for Bárðarbunga at RIDM | Montreal International Documentary Festival, UXdoc space, Norman-McLaren Hall of Cinémathèque québécoise (Montreal, Québec, Canada), November 12-22, 2015. Waiting for Bárðarbunga, Sporobole (Sherbrooke, Quebec, Canada). December 10-18, 2015. En attendant Bárðarbunga at Mois Multi 17. Manif d’art‘s window (Quebec, QC, Canada). February 3-27, 2016. Curator : Ariane Plante. Ces lieux que nous avons en partage : Catherine Béchard, Sabin Hudon, François Quévillon, et Patrick Beaulieu au Mois Multi (in French) – Article by Cynthia Fecteau. Artichaut Magazine – Hybrides, May 2016. 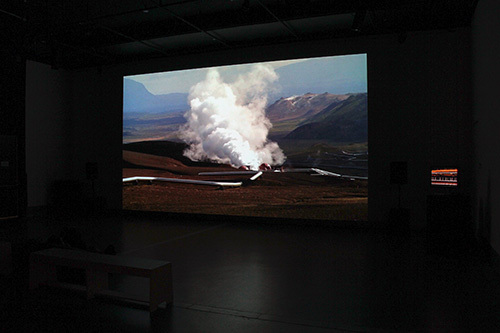 This project was initiated during a residency in Iceland in August 2014. I was south of Vatnajökull when warnings of the possible eruption of the Bárðarbunga subglacial stratovolcano begun. They were communicated in a spectacular, almost apocalyptic way by some international media while a certain calm reigned on the terrain. I was regularly checking webcams installed in the region, consulting weather and seismic data to see how the situation evolved (examples : 1, 2 & 3). 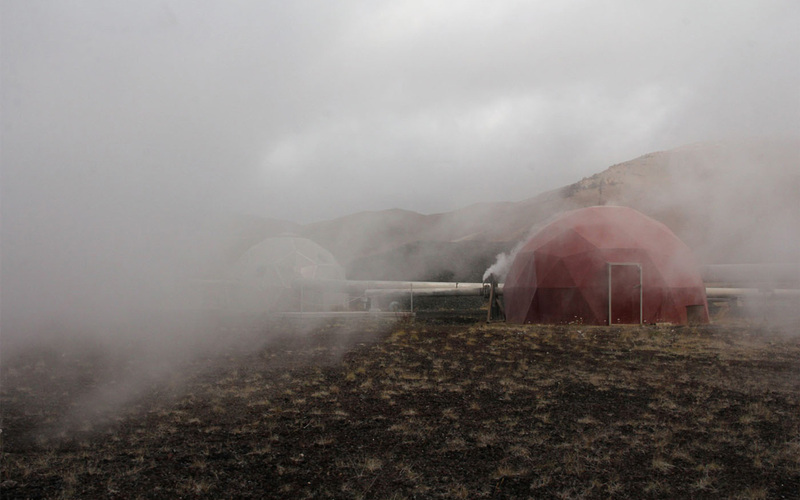 During this period, I made audiovisual recordings of weather stations and monitoring systems, of the territory’s transformation due to volcanic activity, as well as geothermal phenomena and power plants. An eruption started at the Holuhraun fissure on August 29th. 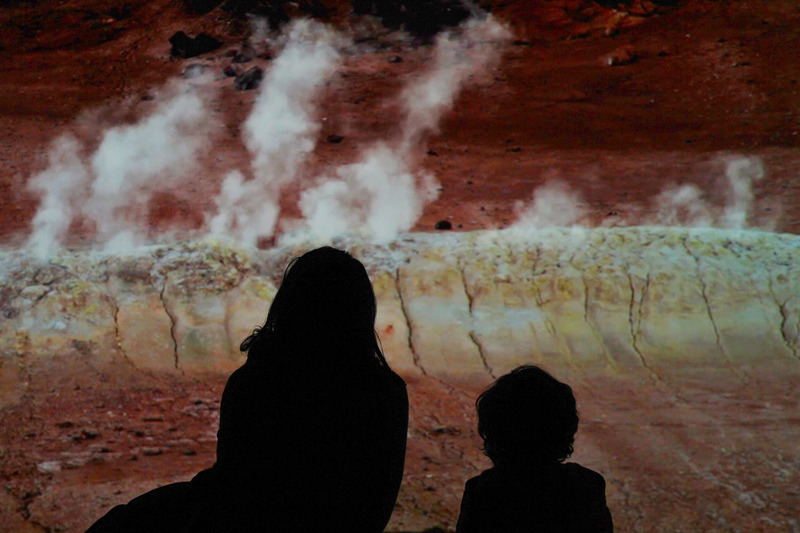 This «quiet» eruption ended February 27th 2015. It was the most important lava emission recorded in Iceland in over two centuries and it released high levels of toxic gases in the air. 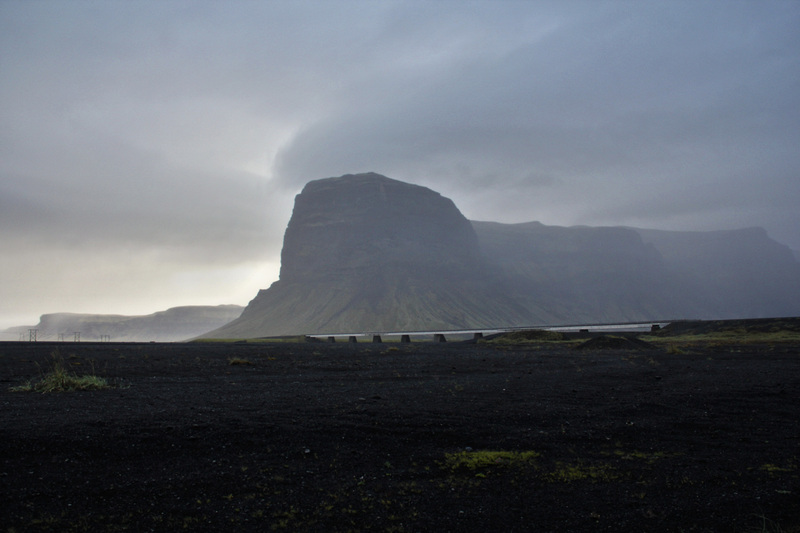 Since June 2015 the alert level of Bárðarbunga has been set to Uncertainty Phase by the Iceland Civil Protection authorities. 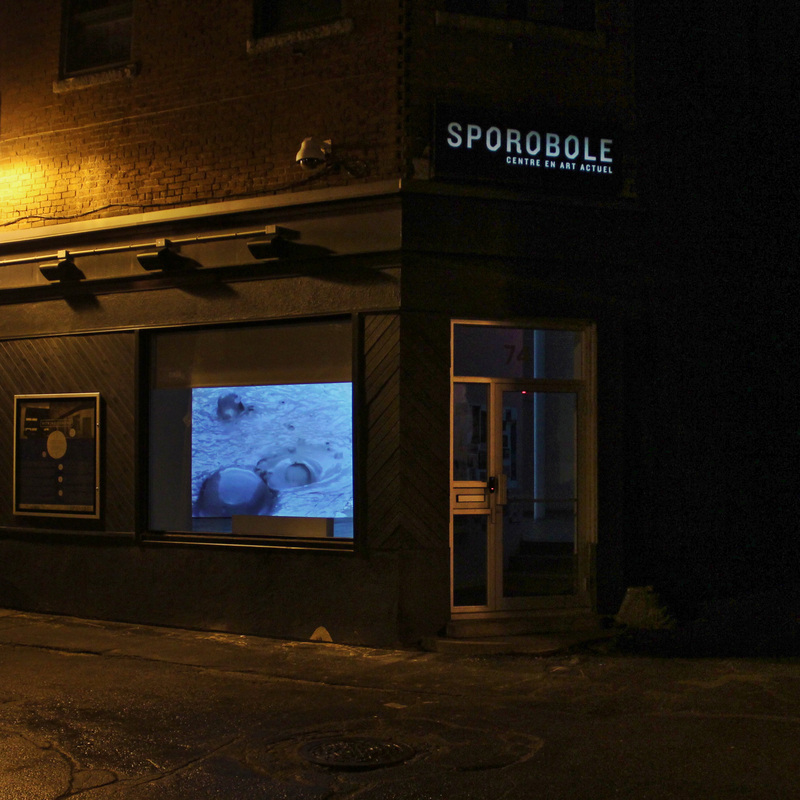 The video is projected with stereo sound. 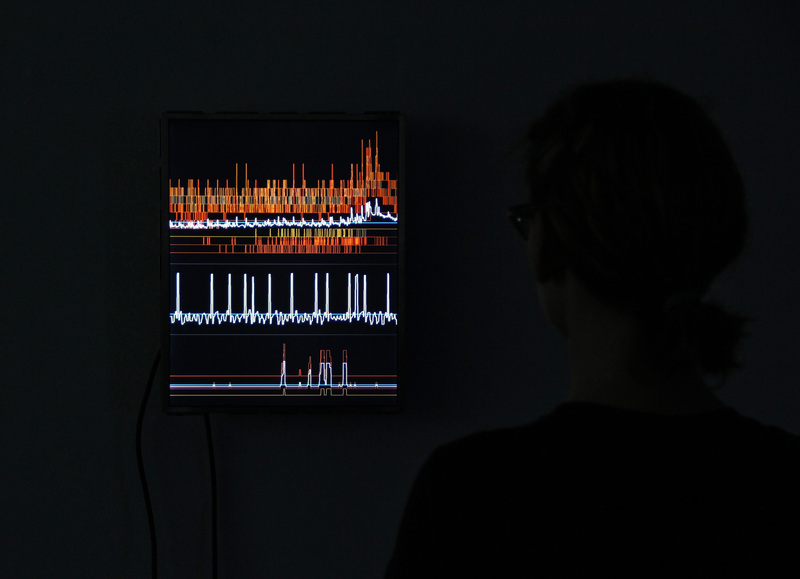 A monitor located next to the computer displays dynamic graphics of its sensors’ data. They cover different time scales and evoke instruments used in volcanology. 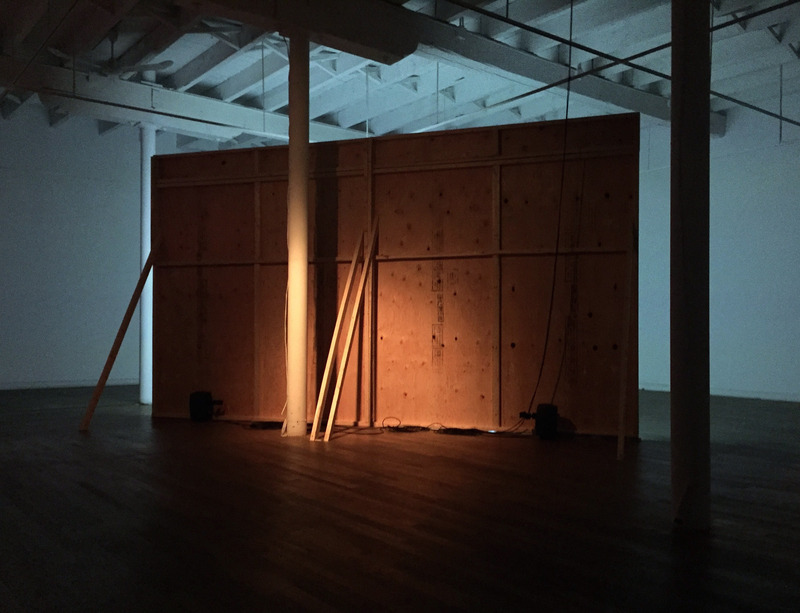 The work has an unpredictable unfolding and its conclusion remains uncertain as the system’s monitoring and the course of events it presents influence each other. Thanks to the Canada Council for the Arts, Conseil des arts et des lettres du Québec, SODEC, SÍM Residency, Sporobole, Necotis and La Chambre Blanche for their involvement and support. Waiting for Bárðarbunga, solo exhibition at PAVED Arts (Saskatoon, SK, Canada). September 15 to October 21, 2017. 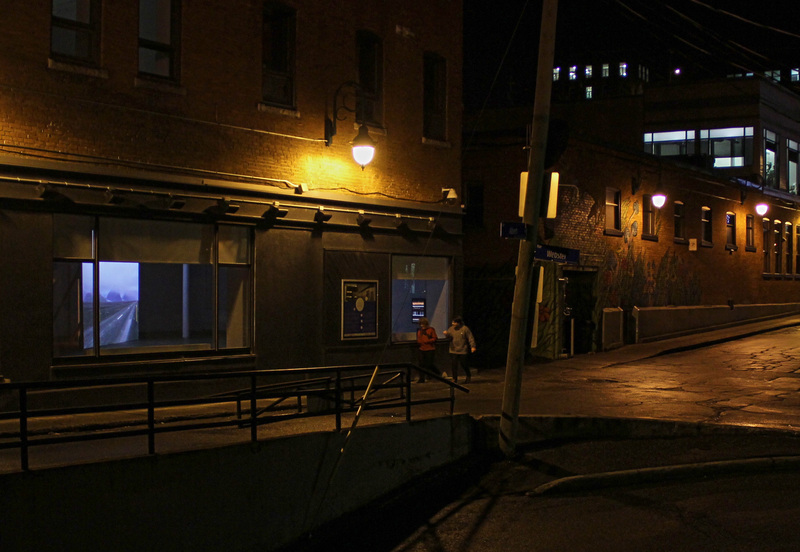 Exhibition for Montréal’s 375th Anniversary: Un million d’horizons (1×19=1 000 000). June 21 to August 20, 2017. Curator : Nathalie Bachand. Climatic Aesthetic Senses of Place, Feeling and Being: Ice Watch Paris by Olafur Eliasson and Waiting for Bárðarbunga by François Quévillon – Paper by Louise Boisclair for Balance-Unbalance 2017, August 2017. 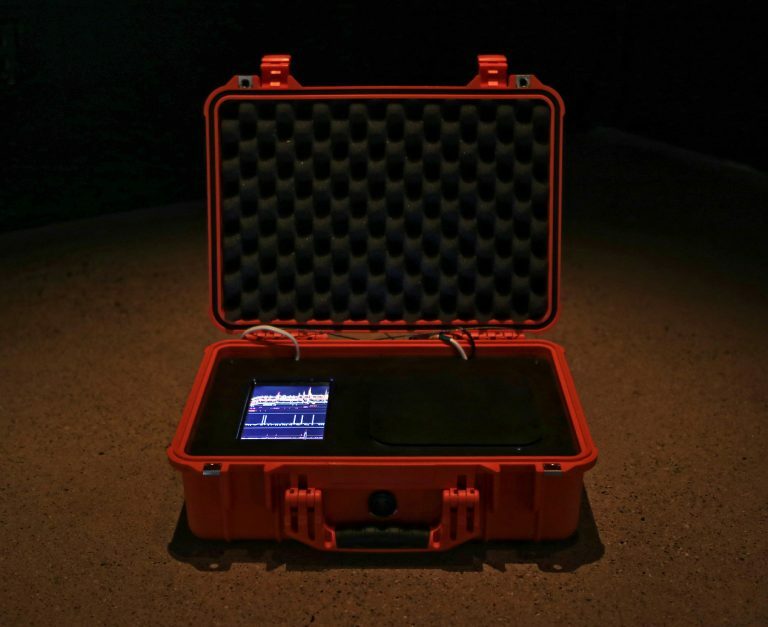 Artist-In-Residence: Volcanic Surveillance Data as a Medium – Interview with Benoit Palop for The Creators Project, August 2015. Waiting for Bárðarbunga – Non-Linear Landscape Cinema – Review by Filip Visnjic for Creative Applications Network, July 2015. 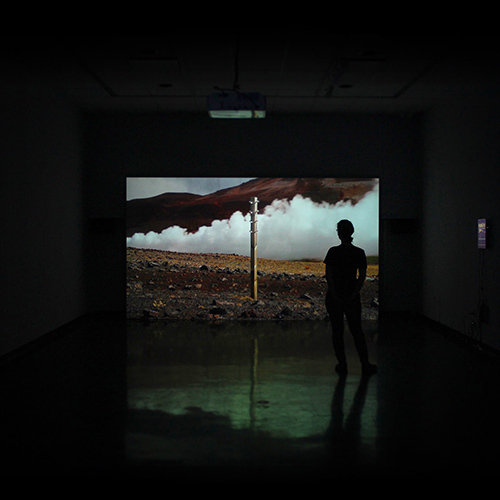 Waiting for Bárðarbunga – Prosthetic Knowledge, August 2015. Waiting for Bárðarbunga – Procedural Generation, August 2015. 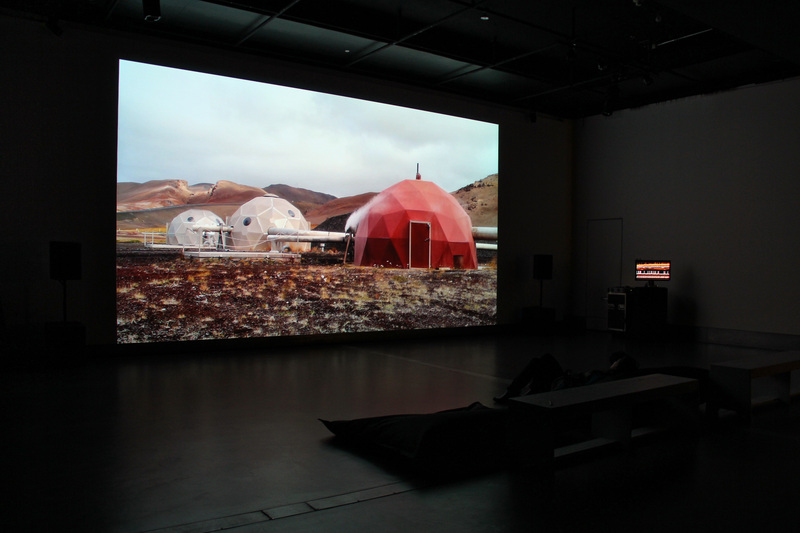 Esprit des lieux, anthropocène et préemption : En attendant Bárðarbunga de François Quévillon (in French) – Text by Louise Boisclair for Archée, March 2018. 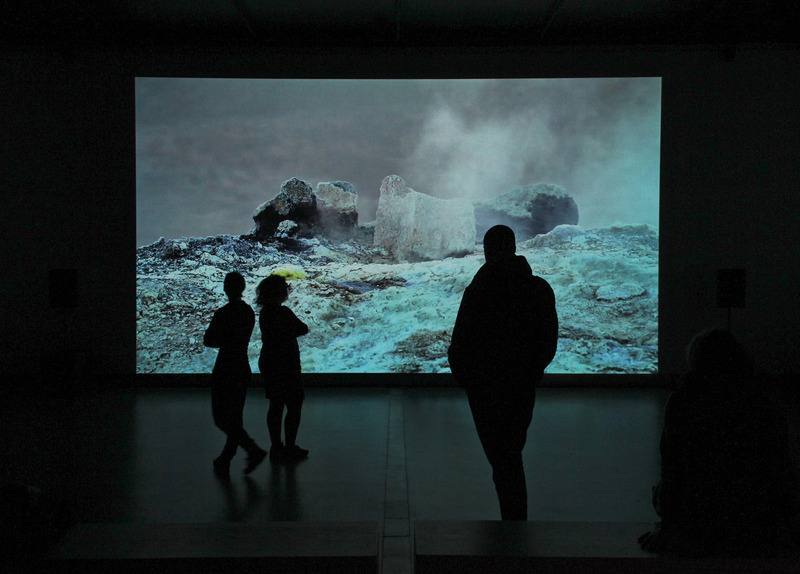 François Quévillon, En attendant Bárðarbunga – esse arts+opinions article (in French) – Claire Moeder for esse arts+opinions, January 2016. Éléments exhibition text (in French) – Nathalie Bachand, June 2015.